There is no doubt in my mind that at 5’10” Quaneshia Farris fits the phrase “Beauty & Brains” perfectly. Who is Quaneshia Farris? 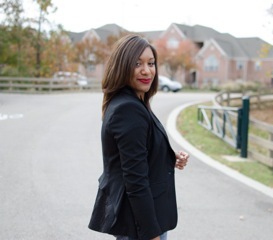 She is the daughter of Gloria and James Hunt, wife to Shawn Farris, the mother of a handsome 12 year-old son, Kamrin aka Kam, sister, friend and a dedicated Nurse Practitioner. Q, as she is affectionately called by friends, lights up each and every room she graces with her style, charm, and smile. Her hair, nails, and wardrobe are always tasteful and classy. When not socializing, reading, traveling, or spending time with family, you can catch her caring for patients at Family Physicians Group. 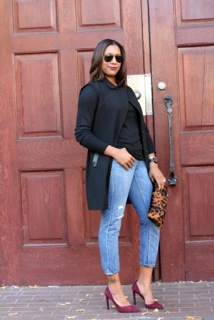 Q’s number one fashion must have is the perfect shoe. She lives by Coco Chanel’s famous saying, “A girl must be two things…classy and fabulous”. 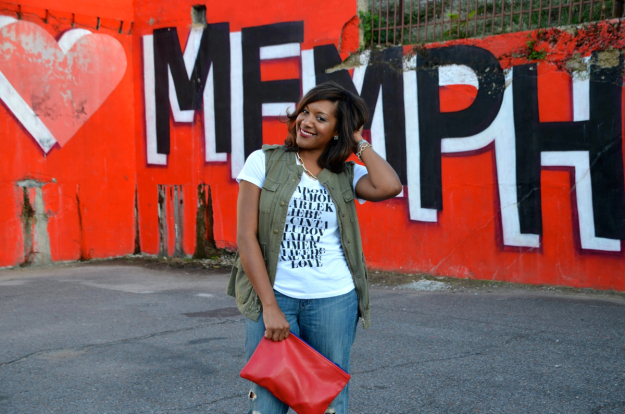 She displays this weekly on her style blog, www.AccordingToQ.com, where she documents how her passion for fashion mixes with her life in Memphis, her love of sports, and everything in between. 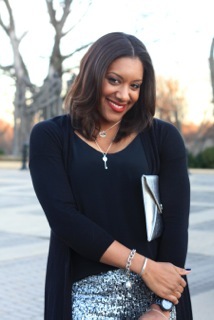 Thanks to Quaneshia Farris for being our featured Beauty With Brains! 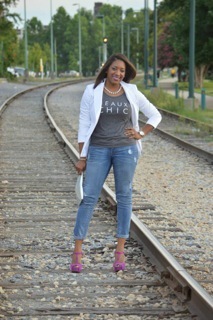 Be sure to check her out and follow her fashion blog www.AccordingToQ.com . Stay Tuned to see who we highlight next!